The streets of Chicago are busier than ever thanks to the recent launch of the exciting new Pokémon Go app. Residents and tourists alike are channeling their love of the popular Nintendo franchise to get out and explore neighborhoods of the city they&apos;ve never previously been to. Check out these Pokemon Go special offers, events and locations on your quest to be the very best trainer in Chicago! Later next month is a Pokemon Go Meetup in Millennium Park on August 27th — a follow up to the recent newsworthy "Bean" meetup that boasted thousands of Pokemon Go players all in one place! If you&apos;re looking for a good time with a more adult edge, check out this Pokemon Go Chicago Crawl in River North on August 13. After all, Pokemon Go is becoming a super effective dating app compared to Tinder. Let&apos;s move on to some tips to be effective in playing Pokemon Go in Chicago, specifically where to search for a wide variety of Pokemon. The Bean — A good central spot and popular meeting place for fellow fans, where several Pokestops and Pokemon Gyms are located. The Loop — Another central place to easily locate several Pokestops and Pokemon Gyms. Plus, there&apos;s a wide variety of Pokemon to be found in an easily walkable distance! The Lakefront — You&apos;ll find lots of water-type Pokemon here compared to the rest of Chcago. Diversey Harbor and Navy Pier are the best bets - especially becasye Navy Pier doubles as a landmark. The "L" — If you&apos;re riding the brown line, sometimes it goes slow enough to be able to catch Pokemon while the train is still moving. Regardless, there are usually Pokemon swarming around stops which tend to be a popular location for lure modules. College Campuses — College campuses tend to have a lot of Pokestops and Pokemon Gyms, but also a lot of young adults with a love for the game. You can expect a lot of lure modules set up by aficionados or even the administration, constantly attracting new Pokemon. Rumor has it there&apos;s a Charizard somewhere around the University of Illinois in Chicago campus. Chicago Neighborhoods — Check out Facebook group Chicago Pokemon Go for rare Pokemon sightings and what Pokemon to find in each neighborhood. You&apos;ll find that Pikachu in no time. It certainly pays off to be a Pokemon master in Chicago right about now. Local Chicago businesses are taking notice and offering special deals with these Pokémon masters in mind. Eli&apos;s Cheesecake (Northwest Side): Free slices of their popular cheesecake to players who show associates that they&apos;ve checked into the Pokestop located nearby. Pastoral (Loop): Recently upgraded picnic-food offerings with special themes for Pokemon Go players and offer 10-20% based on the rarity of Pokemon in a player&apos;s Pokedex. Aire at the Hyatt Centric (Loop): Offering the "Pikachu", a drink inspired by the game&apos;s leading mascot. Chicago restaurants Beef & Barely and Las Tablas are also offering Pokemon Go-themed cocktails. What a great way to relax after a day of walking in search of Pokemon! Emporium (Wicker Park / Bucktown): With 3 Pokestops nearby to collect Pokeballs (and other necessary items!) and a number of classic arcade games, we can&apos;t imagine a better place to connect with fellow Pokemon Go players. Yusho (Logan Square): A gym where playes can train, level up and gain coins to buy rare items if undefeated for 24 hours. Taking advantage of this distinction, they also host Pokemon parties wth specials and themed drinks. Don&apos;t see your favorite restaurant on the list? Not a problem. Use Yelp&apos;s new Pokestop filter to find a restaurant nearby where you can also recharge your item inventory. Now that&apos;s some great multitasking! 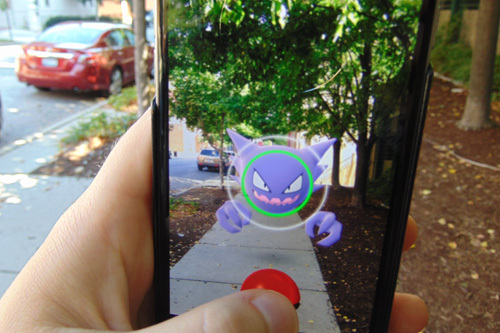 Let us know where you&apos;re playing Pokemon Go in Chicago — where the best Pokemon are, the best restaurant deals for Pokemon Go players, and the Pokemon Go events you&apos;ll be attending soon. We&apos;d love your feedback in the comments!